FLORIDA – Adjunct faculty at Seminole State College of Florida are one step closer to forming their union as faculty have reached an agreement with the administration to hold a union election. 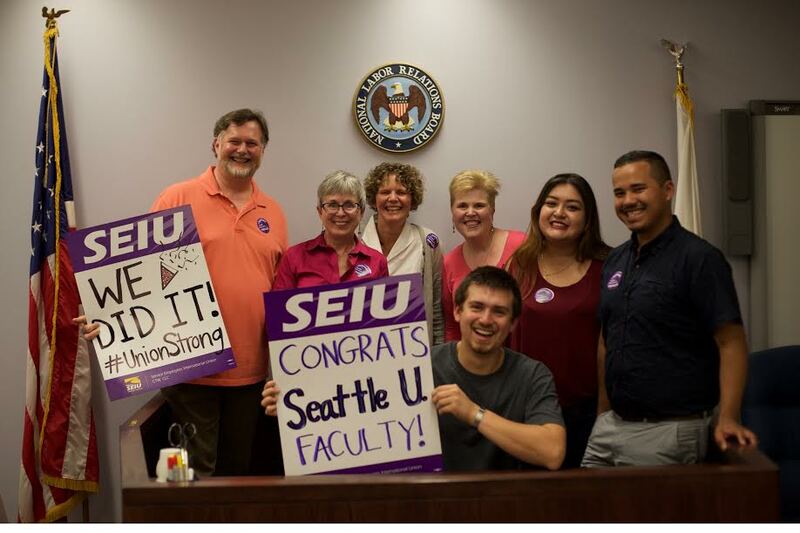 With this breakthrough, Seminole State faculty have the opportunity to join their colleagues at Hillsborough Community College, Broward College, and University of South Florida who have already formed their unions with SEIU Faculty Forward in Florida. Adjunct faculty at Valencia College and Miami Dade College have also filed to form their union as faculty across Florida are organizing for change on their campuses across the state. As faculty at Seminole State College prepare for their union election beginning September 17, faculty at Valencia College continue to wait on the administration to agree to an election. Even though faculty at both schools filed for a union election on the same day, Valencia College’s administration has yet to agree to allow faculty to exercise their right to vote to form their union. While Florida has become a symbol of challenges in the higher education system, it has also become the center of a growing movement to organize for change. Over the past two years, adjunct professors at Hillsborough Community College, Broward College, and University of South Florida have formed their unions. Faculty at Valencia College, Seminole State College and Miami Dade College recently filed for their unions and others are actively organizing across the state. These adjuncts, who are part of the growing SEIU Faculty Forward movement, have called on political candidates at the gubernatorial debate and town hall meetings in Tampa, St. Petersburg and Miami to commit to reinvesting in students and educators alike by supporting free college.